Discussion in 'Hardware Components and Aftermarket Upgrades' started by Vasudev, Feb 15, 2019. Hey everyone, I wanted to post a new thread dedicated for secure wiping SSD/HDDs after I tried hdparm and nvme-cli. I wasn't willing to share it initially, since it maybe dangerous if used incorrectly! Anyway, I posted this guide after searching many sources and made it as simple as possible! I've linked the sources at the end of the post. For images, I'm using Imgur so if anyone has any issues with images not loading or staying blank, please let me know! I must warn everyone that incorrect name for example /dev/sdX can wipe out other drives, so backup.. backup... so as to prevent data loss. Don't hold me responsible for lost data. For newbies, I'd recommend using Ubuntu ISO( I used Xubuntu distro) since it includes all necessary packages without needing to download anything from repos. For people who use other distros Gnome disk utility,gparted and nvme-cli packages are recommended to be installed for ease of use. Don't forget to Backup your data before proceeding. 1. Open Gnome disk utility aka Disks and see the Disk name sdX you want to erase. My SSD is sdb, so I'm using /dev/sdb and yours might be different. 3. Once its woken from suspend/sleep mode you will see Not frozen when running hdparm -I /dev/sdX, subsitute X with your SSD or disk name. 5. 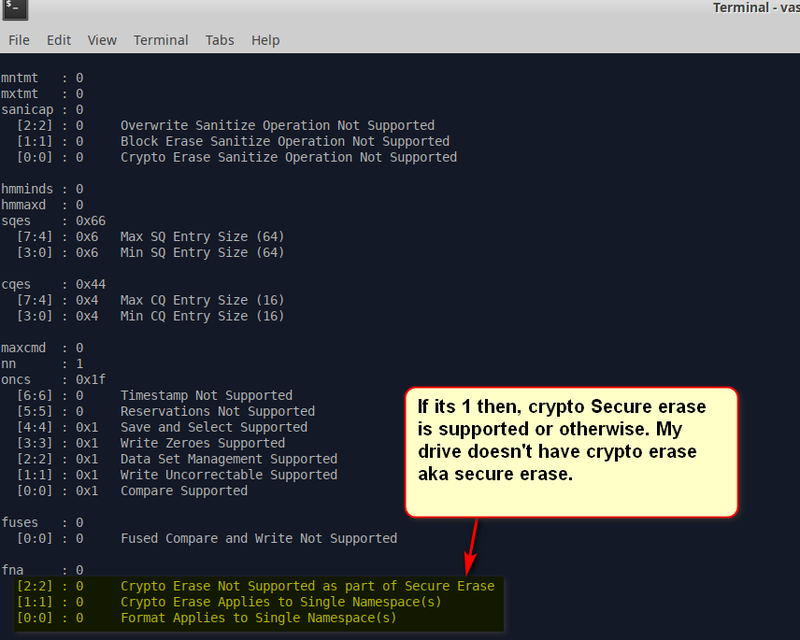 Now lets secure erase SSDs, I'm using Secure SSD Enhanced since my drive supports it. It works for 2.5" SATA and M.2 SATA versions perfectly! 6. It will take under a minute to secure erase a SSD. 7. I re-initialised the SSD using gparted by using gpt as shown in the link here (optional step) I used it to create a fresh filesystem table so that HPA and other things are reset to defaults just like a new drive. 9. Follow Step 2 if you never suspended the Ubuntu or Linux LiveCD environment to un-freeze the disks. You will get a Success message or statement once NVMe secure erase is done, it takes a little more time than SATA so be patient! and once complete, follow Step 7 for best results. Don't forget to Backup your data. Don't say I didn't warn you! jaybee83, jclausius, Dennismungai and 3 others like this. Vasudev and jclausius like this. Vasudev, jclausius and Mr. Fox like this. Vasudev and Mr. Fox like this. Thanks everyone. Well, I did try to erase my non-backup'ed drive by copy and pasting the same cmds, you'll see in Step 5 where I accidetally hit Enter key and cmd was issued! Fortunately, HDD/SSD were Frozen so those cmds failed. That's why I highlighted Backup important data. A minor mistake might wipe out the data. My guide isn't as good looking as Ultra Male's post. jaybee83 and jclausius like this. @Charles P. Jefferies This thread is similar to Ultra Male's SSD erase guide, but involves lot of manual work using the same internal working of Parted Magic and most Linux distros in a freeware. It's good to have your post/thread here because Parted Magic is more of a point and click experience designed for Windows users and you presented how one would do this using Linux with terminal commands. I actually like using a command line interface. It took me a long time to accept using a Windows GUI and I preferred using DOS (and primarily used DOS as much as possible) until about half way through the life cycle of Windows 98. I never actually liked Windows 3.X or Windows 95, and didn't fully embrace it until Windows XP. Ionising_Radiation, tilleroftheearth, Vasudev and 2 others like this. Uses the same thing but presented in a nice GUI. Its more bleeding edge than LTS. 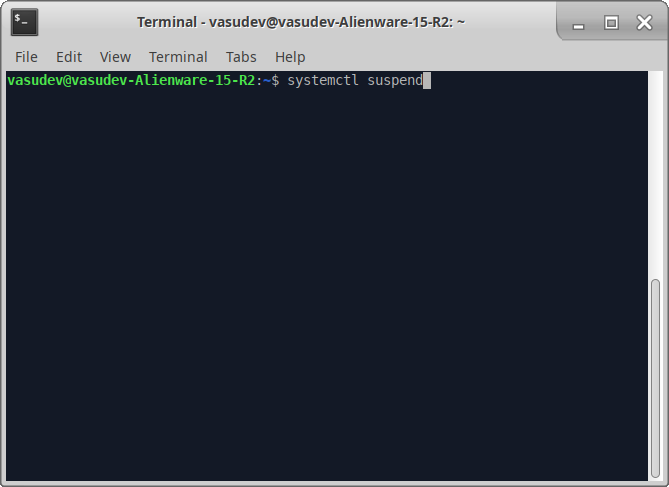 I always like CMD lines or xterm. I still play dosgames on my PC at ultra pixelated graphics at VGA resolution. jaybee83, Mr. Fox and tilleroftheearth like this. @Charles P. Jefferies Can you change title of the thread to "
Secure Erase HDDs/SSDs(SATA/NVMe) using hdparm & nvme-cli on Linux"
Charles P. Jefferies likes this. Done, you can always report your post and ask for a title change. 6.|THE|1|BOSS|.9, toughasnails, Papusan and 3 others like this.